Will Saikawa's signature undermine case against Ghosn? Saikawa: Aware of Ghosn funds? TOKYO — Concern is mounting within Nissan that the upcoming trial of its fired chairman, Carlos Ghosn, will turn an embarrassing spotlight on the man who now runs the company — CEO Hiroto Saikawa. Some people familiar with the case now worry that Saikawa's purported awareness of some of Ghosn's financial arrangements at Nissan, which are the core of the Japanese government's charges against him, could jeopardize the legal case. The unease centers on claims that, before he became CEO, Saikawa may have signed several documents that are pivotal in accusations against Ghosn, people familiar with the matter told Automotive News. The former chairman was arrested and jailed in November and faces three indictments accusing him of financial wrongdoing during his years at Nissan. Ghosn denies any wrongdoing and is now free on bond in Tokyo. The documents concern millions of dollars in deferred executive compensation promised to Ghosn and other benefits he received, such as housing paid for with company money, the people said. Saikawa's signature on related documents was reported by Japan's Asahi newspaper in December. But their existence has assumed new urgency because prosecutors must now turn the documents over to Ghosn's defense team as part of pretrial discovery. Ghosn's lawyers were expected to have the documents in hand as early as Friday, March 15, two people said. "There is a concern in the company that when those documents come to light, whether through a trial or now, it will embarrass the company and it will embarrass Saikawa because, obviously, he signed those things," one person said. The issue is significant in the raucous story that has unfolded at Nissan over the last four months. From the moment Ghosn was arrested, onlookers have speculated that his ouster was simply a setup to engineer a new management balance of power between Japan's Nissan and its French majority shareholder, Renault. Many wondered how a publicly traded multinational corporation with modern checks and balances, outside accountants and established legal protocol could have allowed its highly visible chief to improperly account for what prosecutors claim was $80 million in deferred compensation. Ghosn has insisted that his compensation was all on the up-and-up. Nissan now says it is focused on cleaning up past wrongs and fixing any corporate policy glitches that might have allowed misconduct. Carlos Ghosn leaves his lawyer’s office last week. Onlookers have speculated that his ouster was a setup. Nicholas Maxfield, a Nissan spokesman, said the company would not comment on specifics of the case against Ghosn. "Nissan's internal investigation is ongoing, and the company's focus is firmly on addressing weaknesses in governance that failed to prevent this misconduct," he said. Saikawa has said he plans to take responsibility for the current legal issues by reforming the corporate governance structure that allowed the alleged financial malfeasance to flourish in the first place. In December, he set up a committee to consider reforms. It expects to present recommendations by the end of this month. Under the envisioned timeline, shareholders would vote on the proposed overhaul of corporate governance at their annual meeting in June. Saikawa said he will "pass the baton to the next leader" when Nissan's woes are fixed. His two-year term as CEO is set to expire this year, making June a natural handover point. But one insider said Saikawa, 65, appears to be angling for more time at the helm. Saikawa told executives during an internal meeting that he planned to stay on for at least three more years, Bloomberg News reported this month, citing a person familiar with the matter. It is not clear what courtroom impact will come from having Saikawa's signature on documents related to Ghosn's financial dealings. The Asahi reported that Saikawa signed documents, dated 2011 and 2013, without being aware of their full ramifications. At the time, Saikawa was a so-called representative director on the board with power to sign certain financial obligations on behalf of the company. The documents authorize how Ghosn would receive funds set aside as his deferred compensation after he left the company, one person said. The money was to be disbursed through several channels, including a lump sum and payments for a noncompete clause and advisory fees, the person said. The original signed documents were collected by prosecutors in their sweep of Nissan files and were shown to several Nissan executives called in for questioning, the person said. Ghosn faces two indictments accusing him of falsifying official company financial filings by failing to report about $80 million in deferred compensation. Nissan itself is indicted in that matter, also for allegedly failing to disclose the future liabilities. Last month, Nissan recorded a charge of ¥9.23 billion ($83.7 million) for its fiscal third quarter ended Dec. 31, for the deferred compensation allegedly owed to Ghosn. That amount, covering the 2009-17 fiscal years, is the crux of two of the indictments against Ghosn. Other documents, such as those pertaining to Ghosn's housing, are not thought to be connected to current criminal charges against him. But they could prove equally embarrassing for the company. Nissan has cited the houses as examples of Ghosn's alleged misuse of company funds for private benefit in a litany of complaints against him. Nissan's internal probe alleges he funneled Nissan money through a subsidiary to pay for housing in Paris, Rio de Janeiro and Beirut. But so far, there have been no criminal charges based on these allegations. Ghosn's lawyers may use documents signed by Saikawa or other Nissan executives to argue that the transactions were authorized and above-board, two people said. 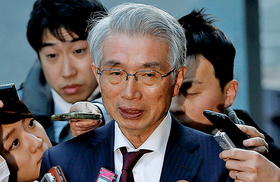 The start date of Ghosn's trial is not yet determined, but Ghosn lawyer Junichiro Hironaka has said it will likely begin after the summer. Hironaka said last week he had already begun receiving investigative reports from prosecutors. When Ghosn addressed the allegations of underreported compensation in a court hearing in January, he said the amount of deferred pay had not been fixed and none of it had been disbursed. Thus, he reasoned, there was nothing to disclose and no intent to violate the law. At the time, however, his defense lawyer cited authorization by Nissan's board as a defense against the other charge involving Ghosn's transfer of swap losses. The board had voted to authorize non-Japanese directors and employees to enter such contracts, the attorney argued, adding: "There is no basis for any accusation of hiding the facts or illegal or unjust behavior." 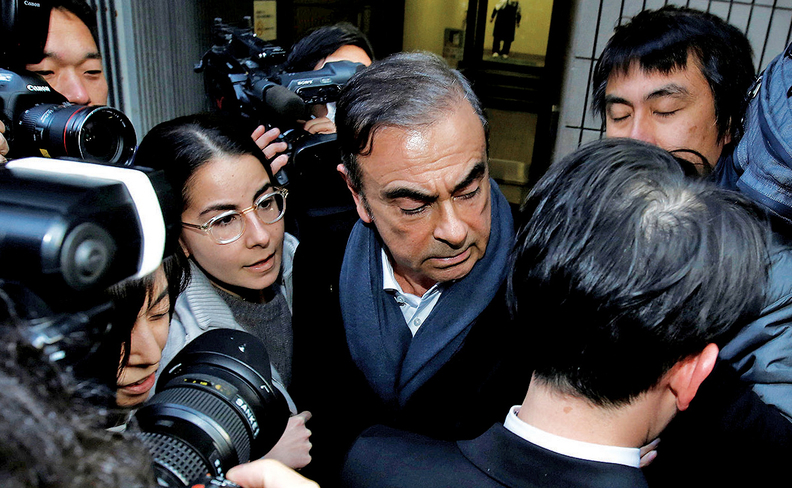 In January, in Ghosn's first media interview since his arrest, he told Japan's Nikkei newspaper that the charges against him were the result of "plot and treason" by Nissan executives opposed to his plans to forge a deeper integration of the Japanese carmaker and Renault. 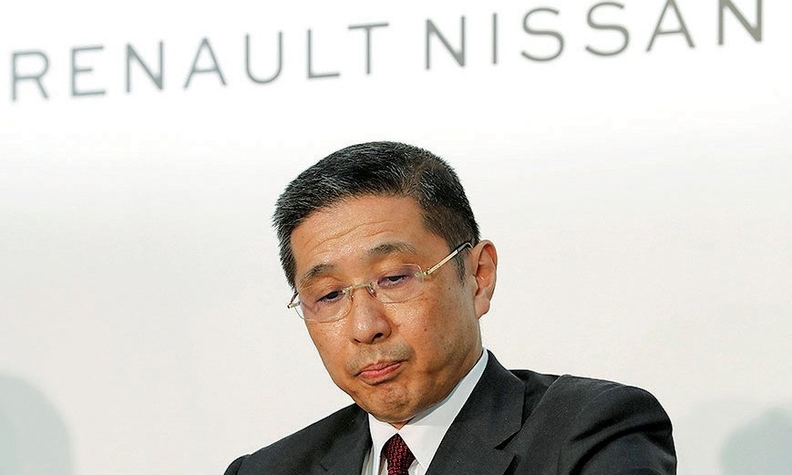 But, in an interview with Japan's Shukan Bunshun magazine last month, Saikawa said his own resistance to any management integration between Renault and Nissan had nothing to do with the charges of financial malfeasance leveled against Ghosn.